Computer Technology, an Enabler or Crutch? IF YOU ASK ME……As a professor teaching Writing for T.V. 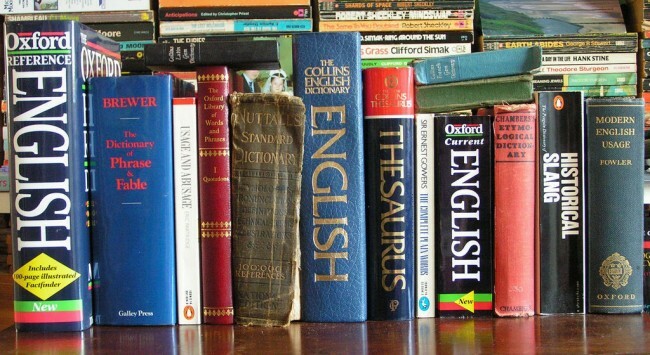 and Screen Writing at CSU, (Chicago State University) students ask why I insist on the use of a dictionary, a small pocket book on grammar, and a thesaurus. They are quick to inform me that in this modern age of technology the computer checks for spelling and grammar. They also have a competent grin on their face when reminding me that the major fast-food chains, (Burger King and MacDonald’s) provide cash registers with menu pictures, prices, the amount tendered and the exact change due the customer. I suppose the only real training needed is to get the customer’s order right before they get home and find they have not received all they paid for….and of course, how to speak to the customer with the utmost courtesy and respect. Well now, since they asked me, writing is not only a talent but a skill that encompasses speaking correct English and using correct spelling, grammar, and punctuation. For many reasons, I have been called “Old School,” but the main reason is because of my old fashion ideas that the aforementioned skills are taught; or should be taught, in grammar school and honed in high school. I am astonished that people sit down and glibly decide to be writers of any genre. Why should a career in writing, one of the hardest professions, be acquired overnight, without serious study?